OK–who watched Saturday Night Live last night? Hang on, I can’t count that high…maybe it’s easier to ask who didn’t? The cultural phenomenon that swept last night’s host, Betty White, onto the stages for SNL was nothing short of precedent setting. A facebook campaign with thousands upon thousands of fans simply implored Lorne Michaels and the producers of SNL to have 88 1/2-year-old White be the host of an episode. It was that or Alec Baldwin again (I joke because I love–Alec is host next week, for the season finale). It truly was a fun episode, and white, while struggling occasionally with some timing and reading cue cards, was a hoot. 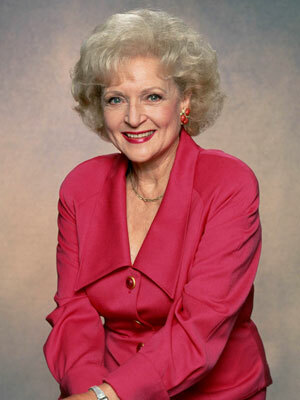 For that long, not dry but quite so fertile, section of Betty’s career between Golden Girls and her recent resurgence as cultural icon, it was likely you saw Ms. White on a commercial here and there about animal rights and care. She has long been an animal advocate, and the charity with whom she has most closely aligned herself is the Morris Animal Foundation. MAF is the world’s largest charitable organization dedicated to funding research studies to protect, cure, and treat animal health issues. They are dedicated to helping domestic animals, the pets of our families, live longer and fuller lives. In addition to companion animals, their work on every continent of the world has helped other wildlife including mountain gorillas, elephants, rhinoceros, wolves, sea otters, and many varieties of birds, reptiles, amphibians, and fish. For the furry friend in your family or your past, or in honor of Betty, or just because it makes our world better, think about supporting MAF. Ways to help can be found here.